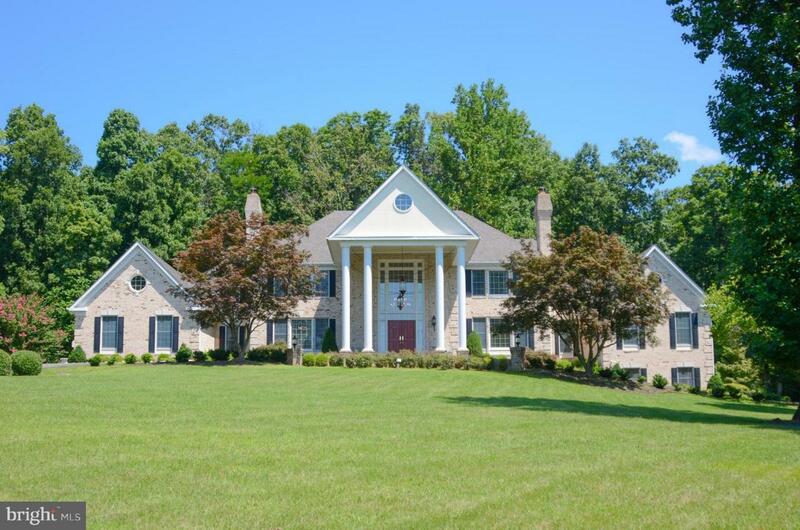 Stately all-brick custom Georgian colonial on private 1.73 ac. property backing to common land & scenic mountain views*Approx. 7151 fin. sq. ft./3 fin. levels/dramatic covered portico/sweeping double staircase entry foyer/high ceilings/main level mstr.suite/2nd mstr; suite upper level*potential 5th BR/den on lower level/5 gas FPs/gourmet kitchen/custom walnut wet bar LL/amenities galore*Must See!